An affordable choice for a variety of utility tasks, this versatile model is easily towed by car and is great for lighter duty projects. 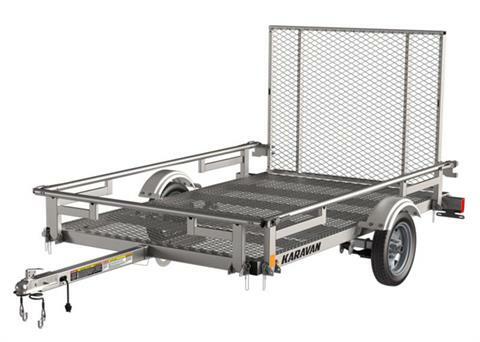 Patented fold-down rails allow the trailer to be conveniently loaded from the side. Reliability is built in with smart lighting and wheel bearing systems. It looks good too, with a powder coat finish as attractive as it is durable.